Do you love Italian food? I DO! 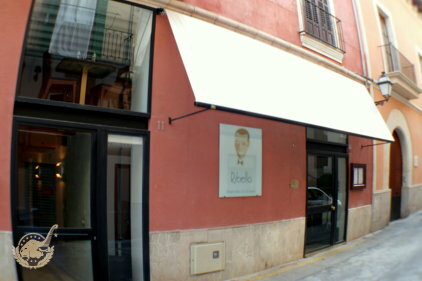 Felix and I just went to restaurant RIBELLO in the iconic area of la Longa of Palma. I have been wanting to go here for months and am now kicking myself for not going sooner. It. Was. Fantastic. Also on the menu was pizza, beef tenderloin, and a hamburger that I saw come out of the kitchen several times. There is mostly pasta on the menu, it IS an Italian restaurant but there was a decent variety. Plus the prices are super! I was surprised at how reasonably priced the food was for such a popular place. Ribello is only open for dinner Monday – Saturday. They don’t have a website so here is the info. Now call for a reservation and GO.